Despite their tiny size, red spider mites (Tetranychus urticae) have a big impact on global agriculture, causing extensive damage to a wide variety of plants and crops and they have a terrifying super-power. These tiny super-pests are potentially resistant to the narrow range of available acceptable pesticides. However, the agriculture industry has minute but powerful weapons to fight the mites – biological controls (or biocontrols). Biocontrol is a branch of Integrated Pest Management (IPM) on the forefront of scientific advances in long term agricultural sustainability using the pest’s own natural enemies against them while reducing reliance on chemical pesticides which can harm people and the environment. Dudutech, an IPM company based in Naivasha, Kenya, has over ten years experience in designing and developing biocontrols used in the management of red spider mites in large scale agriculture. In particular, Dudutech has successfully developed two powerful biocontrol products: PHYTOTECH® and AMBLYTECH®. PHYTOTECH® is a highly targeted biocontrol which deploys the beneficial mite Phytoseiulus persimilis, which actively searches for and feeds on red spider mites in all lifecycle stages. Once PHYTOTECH® has cleared pest, they either leave in search of more food or eventually die off. This makes PHYTOTECH® a precision weapon in the war against red spider mites. 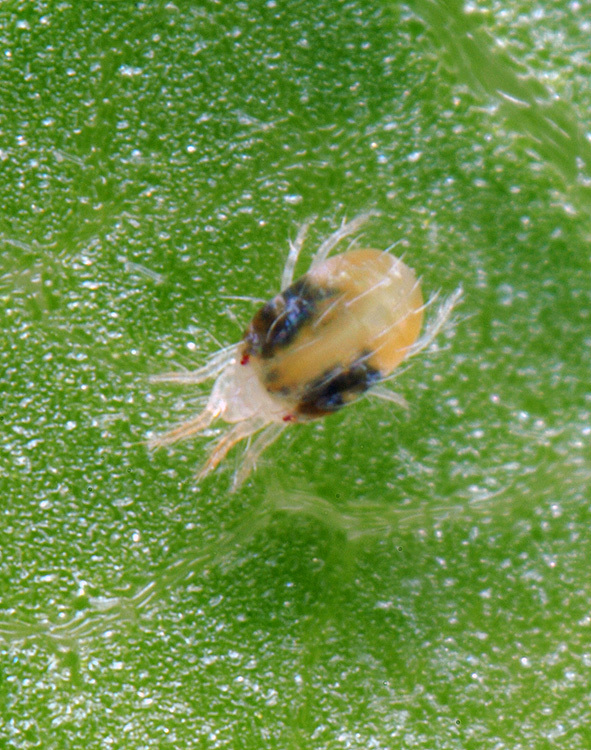 Similarly, AMBLYTECH® is also a natural enemy of red spider mites, but the beneficial mite Amblyseius californicus are able to go for long periods without feeding. Although Amblytech prefer to feed on red spider mites, they also feed on Thrips and nectar. This features allow AMBLYTECH® to be used preventatively, protecting plants from red spider mites over longer periods of time. When growers use PHYTOTECH® and AMBLYTECH® they harness the power of nature to sustainably protect their crops against red spider mites. Without the harmful chemical pesticides in their growing practices their crops are healthier, pre-harvest intervals are reduced to zero and pesticide resistance is avoided. Red spider mites also known as two-spotted mites, or scientifically as Tetranychus urticae, are arthropods which use their needle-like mouthparts to feed on plant tissue, causing yellowing or greying on leaves. If not brought under control, they can cause plants to completely lose their leaves. When T. urticae feed on flowers brown speckles appear on the petals. 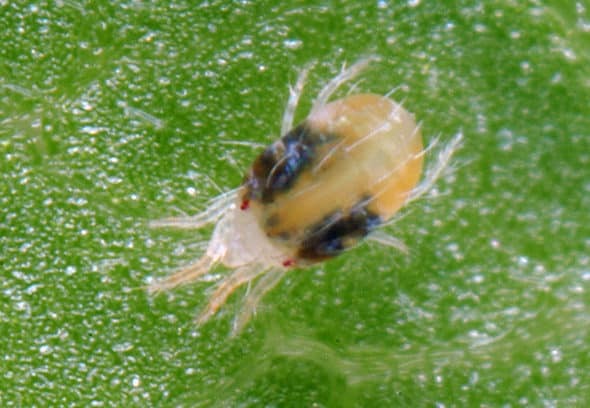 Red spider mites have a lifespan of up to 16 days and peak hatching occurs at around 27°C, developing from an egg into an adult, reaching around 0.4mm long, within 8 days. Each female can lay up to 20 eggs per day – this rate can see their populations balloon within a short time frame. T. urticae feed on more than 200 different species of plant and are regarded as highly economically important, due to their destructive impact on global agricultural produce.